People with mobility problems will soon be able to safely and easily enter the water at the public beach of the Municipality of Polis Chrysochous, Cyprus. 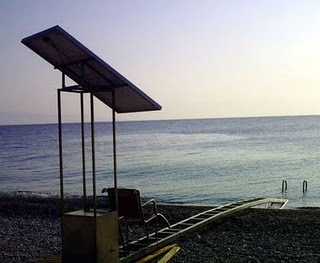 In a unique programme, the Cyprus Tourism Organisation (CTO) in cooperation with the department of accessible beaches of the Works Ministry, the Cyprus Confederation of Organisations of Disabled Persons, the University of Patras and the Polis Municipality, established the first standalone system which will provide access to the sea for people with disabilities. 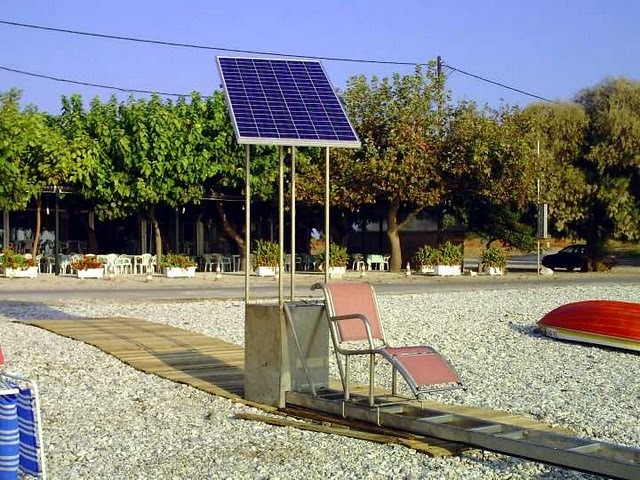 Beaches equipped for the disabled are growing in number all over the globe and the facilities have already been successfully implemented in Greece by the Department of Aeronautical Engineering of the University of Patras. The official opening ceremony of the Polis project will be attended by CTO chairman Alekos Orountiotis and Polis Mayor Angelos Georgiou on Saturday September 24 at 11.30 am at the Municipal Beach of ‘La Plage’. The system consists of an easily accessible chair which sits on top of a long metal moveable track .This commences from the beach and ends up in the sea and can be accessed via a long ramp, which sits on top of the sand. People with mobility problems or those using a wheelchair will be able to transfer into the sliding chair with little fuss and enter the sea at a comfortable pace. Valerie Goddard, a 73 year old wheelchair user from Paphos welcomed the idea. Goddard thinks the ramp is a great idea that would help many people who have mobility problems. “It will be wonderful to feel the sea around me again; I will definitely get my friend to take me up there to give it a go,” she said. Meanwhile, the CTO expressed their thanks to Polis municipality for hosting the new system and to the public for their support . Read more about the Greek project and Cyprus implementation at Disabled.gr (article in Greek language - use Google Translate for an approximate translation).